At a basic level, materials properties depend on the three-dimensional arrangement of atoms, and it is necessary to determine their coordinates to make correlative measurements of structure and functionality from basic principles. Traditional 3D reconstruction techniques (such as X-ray crystallography and single-particle Cryo-Em) continue to provide critical insights into structure/property relationships but average over many identical structures. This blurs out the defects inherent to inhomogeneous nanoengineered materials important to their functionality. 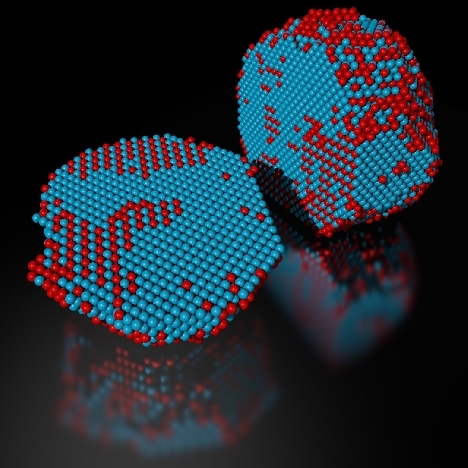 Aberration-corrected HR-TEM and HAADF-STEM are now indispensable techniques in materials science to examine the atomic structure of materials systems with sub-Å resolution and single atom sensitivity. Combining these new tools with powerful iterative 3D reconstruction and peak finding algorithms for electron tomography is opening a new field with the ability to determine atomic coordinates of all atoms in a structure without the assumption of crystallinity. This talk will cover recent developments and future directions of Atomic Electron Tomography (AET) at the Molecular Foundry, which will be critical to our understanding of the atomic structure of complex materials systems. Peter Ercius did his PhD at Cornell in applied physics and joined LBNL as a postdoc in 2009, continuing as a staff scientist in the NCEM.